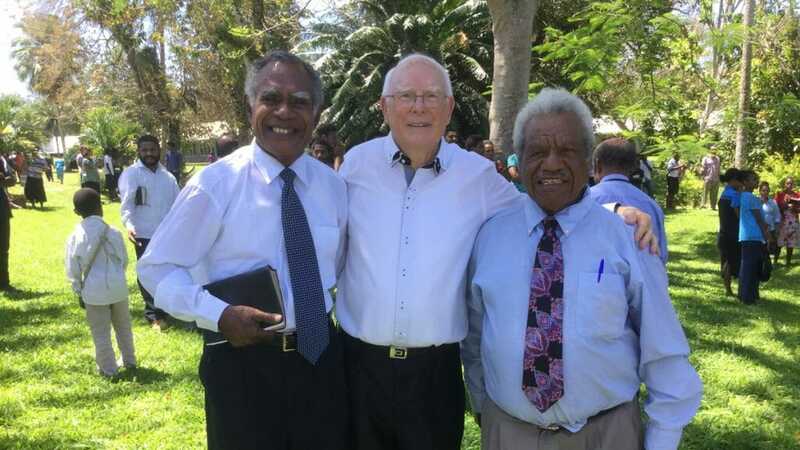 Sonoma Adventist College in Rabaul, Papua New Guinea (PNG) recently celebrated its 50th anniversary and school reunion. Former students from PNG and the Solomon Islands came together in September 2018 to commemorate the occasion. Pioneering principal Alexander Currie, his wife, Beverley, and two sons, Gavin and Philip, were special guests. For Sonoma, which grew from humble beginnings into a school affiliated with Pacific Adventist University, celebrating 50 years of service to the Seventh-day Adventist Church in PNG and the South Pacific region is a significant achievement for the institution and the Papua New Guinea Union Mission, church leaders said. Currie went on to describe some of the challenges and improvements the college had seen since his time there. “Fifty years ago, in February of 1968, we commenced the college with 21 students in two courses — theology and building construction. There were no ladies among the initial students. I congratulate the administration in developing the college so that it [now] has 661 tertiary students, a third of whom are young ladies. “The college then had no electrical supply — now you have 24-hour power. We taught students typing skills on second-hand typewriters. Today every student is computer literate. We commenced with only expatriate teachers but had the vision that the college would be staffed with only indigenous teachers. That dream has largely been realized except for three Filipino staff, for whom we are most grateful for their extended service. A variety of activities were held during the celebrations. Former students and staff shared spiritual devotions and services on the theme, “Reflecting and celebrating Gods leading for eternity.” They reminded attendees of Gods leading in their lives. Not only was there a spiritual revival but also plenty of time to socialize, meet other former students, and see old friends and classmates, organizers said. Despite rain falling on the day, many participants took a walk to Vunaling — the site where Sonoma was initially established. Standing among the remains of the old buildings, Currie explained the historical significance of buildings erected in 1968. The anniversary coincided with PNG’s independence celebrations, so students displayed their traditional heritage, food, and songs, to be judged by representatives from each province. School departments had displays and ball games as some participants refreshed skills from their school days. The participants also visited the nearby war cemetery, an observatory, a volcano, and the hot springs at Matupit. Program organizing committee chairman Joros Sawi said he attributed the program’s success to the assistance and commitment of all the staff members who were part of each designated committee, but above all to God who was with them in the planning. The major project fundraising at the reunion program was for a new church building. Local media team the Kingsmen — including former Sonoma students — captured the anniversary’s events on video. Copies were sold after the program. At the close, Currie unveiled a monument that stands as a memorial of the occasion. “Together we thank the good Lord for keeping His promises in leading, guiding, and blessing Sonoma College during the past fifty years,” said current Sonoma principal Isako Esekia in his concluding message. The original version of this story appeared on the Adventist Record news page.